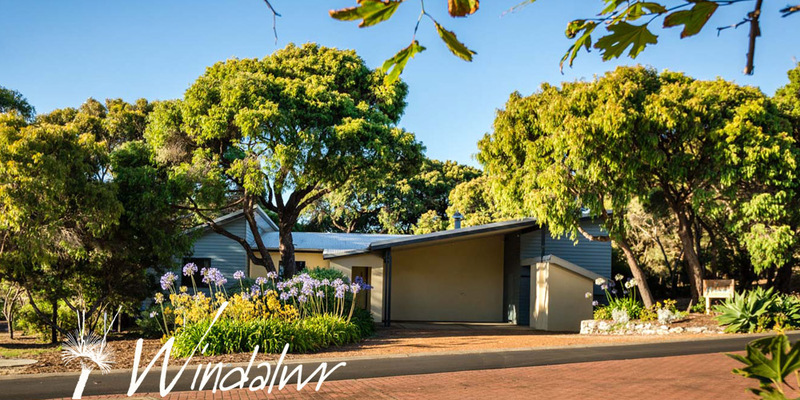 A great family house situated in Gnarabup, Margaret River - WINDALWR offers everything for a fairy tale holiday, one where the kids and parents can relax! Nestled amongst shady Peppis, is this retreat of simple but comfortable style. Windalwr has three bedrooms, one with private balcony and ensuite, including a Japanese style bath. The spacious kitchen and open plan living area, facing North, look out onto a secluded deck, flooding the living area with natural light. There is never a shortage of fun activities and adventures to be had: wineries, beaches, surfing, walking, caving, climbing and more are all at your doorstep. MARGARET RIVER is located 3 hours (280km) south of Perth, Western Australia. 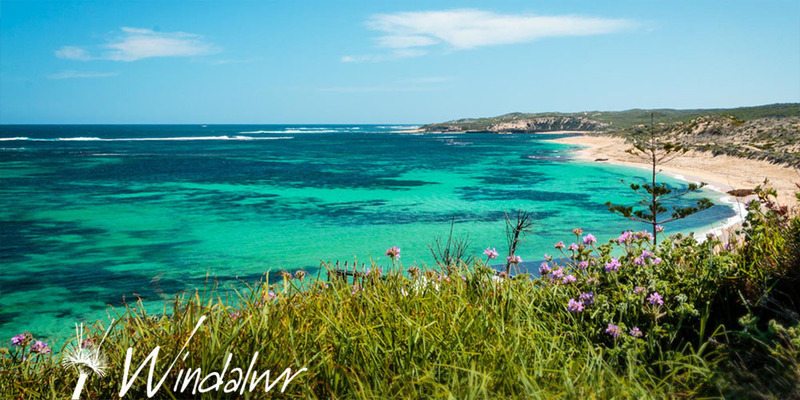 Windalwr is situated only 10 minutes walk from Gnarabup beach, in the heart of the Leeuwin-Naturaliste Cape. There is never a shortage of fun activities and adventures to be had: wineries, beaches, surfing, walking, caving, climbing and more are all within easy reach. A GREAT FAMILY RETREAT – Windalwr offers everything for a fairytale holiday, one where the kids and parents can relax. A wood fire warms the open-plan living, dining and kitchen with a glass wall overlooking a sunny north-facing deck and the casual garden beyond. The interior style is casual beachside, with comfy couches and large dining table seating eight for feasting, spreading out the morning paper or a bit of art and craft. To check AVAILABILITY or request a BOOKING for Windalwr please use our calendar and booking form. If you would like some more information or prefer to make a booking by phone please contact Emma on 0408 339 400. Windalwr is a made up name. I grew up in Windermere and my Father Reggie Tongue grew up in a house called “Winder House”. My childhood beach holidays in North Wales were at a house called “Parlwr”. In Welsh many words use the “wr” at the end. I have to credit my Sister for putting it all together. I hope that the special meaning for us becomes a special meaning for those families that return, frequently. We had a wonderful time at Emma's little slice of heaven in Margaret River. 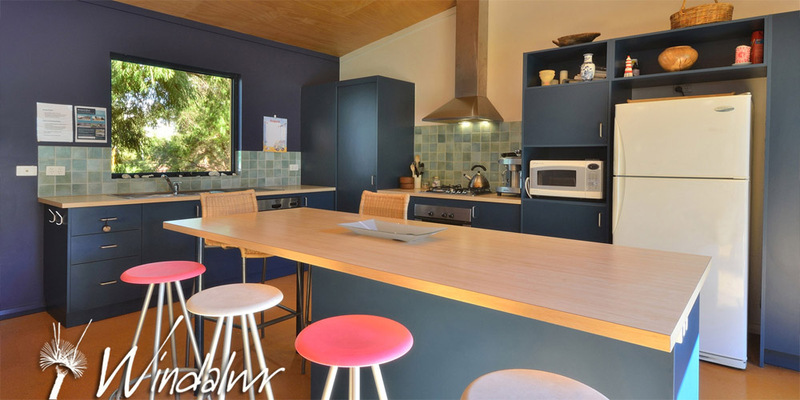 The house is lovely and was a perfect retreat for our stay - we really appreciated the well stocked kitchen, the beautiful deep bath, the proximity to the sea and the morning and evening kookaburra song. Emma's directions and instructions were clear and very considerate. Thanks for a wonderful stay. A perfect holiday house! A perfect spot! We spent our days surfing & hiking and our night in front of the fire sipping on red wine. Thanks for providing such an amazing home & base camp for us – it was perfect for all ages. We really appreciated the fully equipped house and the coffee machine got a work-out!! Entertaining was a breeze. Thank you! Thank you! We've had a wonderful time at Windalwr! The house is great, spacious, very comfortable and very well equipped. It had everything we needed. The location is perfect, very quiet, with a small but lovely secluded garden. And so close to the beach! Gnarabup is just amazing, we loved it! Emma was very helpful and quick to respond to all our needs. Many thanks for a great weekend, Emma! We couldn’t have asked for a better location, home and ambience. We absolutely love this house, its warm, welcoming and has everything you need for a comforting and enjoyable stay! From condiments to comfy couch we truly can’t wait to tell our friends and family about this place – thank you so much!